Tron (TRX) is a decentralised, open-source platform that is operated by the Tron Foundation. Tron acts as a smart contract to allow content creators to be compensated for sharing their content. The Tron foundation intends to create a distributed storage facility that allows its users to access entertainment content from every part of the globe, without seeking assistance from third parties such as GooglePlay Store or Apple Store. As a result, the content producers will be able to receive funds quickly and directly from the consumers without an intermediary taking a cut. The Tron network operates using the TRONIX token (TRX), the most basic unit of payment on Tron's blockchain. TRON's architecture has three platforms: a social media platform or, application layer; a blockchain platform consisting of a multilingual smart contract layer and a Fast Paxos-based Proof of Stake (PoS) consensus algorithm; and a peer-to-peer P2P distributed storage system made up of a content addressable storage network and a LevelDB/CouchDB data layer. The developers intend TRON to act as web 4.0. The ecosystem that the foundation envisions to build is estimated to take 8-10 years to complete but, the Testnet and MainNet launch are now complete. Old Tron ERC20 tokens have now been swapped out for native Tron tokens on the mainnet. Also, Tron released a new TronWatch wallet, which is available on desktop, Android and iOS devices. 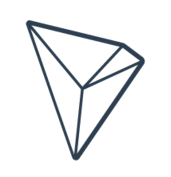 To download the Tron wallet visit their website. Looking forward, the team hopes to introduce economic incentives for content creators, look into dividend management, income payment and managing supporters. Moreover, Tron looks to launch a personalised token for decentralised trading by the end of 2023. For more information regarding Tron visit the official webpage.